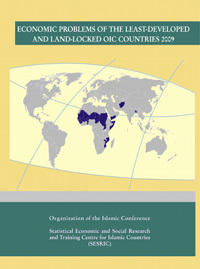 This Report aims at analysing the developments in the economies of this group of OIC members and highlighting their specific problems, thereby pointing to the need for special actions in their favour, particularly in the financial, commercial and technical cooperation areas. It examines the trends in their major economic indicators in the latest five-year period for which the data are available and compares them with those in the groups of All-LDCs, OIC countries and developing countries. It also sheds light on some development issues of immediate concern to these countries, such as external financial flows and food security.